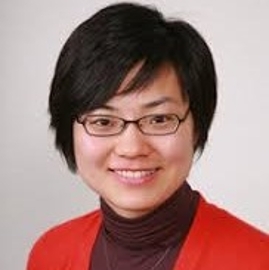 Ke Pang joined the Department of Economics in 2008 after completing her PhD at the University of British Columbia. Her research areas are open-economy macroeconomics and monetary economics, focusing on optimal portfolio choices, financial integration, credit frictions, exchange rate regimes, and international spillover effects of monetary policy. She has taught courses in both undergraduate and graduate programs, including Intermediate Macroeconomics II (EC390), Advanced Macroeconomic Theory (EC450), Research Paper and Seminar (EC481), and Macroeconomics I (EC640). Social Sciences and Humanities Research Council Insight Development Grant (2012). Pang, K. and P. Siklos 2016. “Macroeconomic Consequences of the Real-Financial Nexus: Imbalances and Spillovers between China and the U.S.” Journal of International Money and Finance, Vol. 65 (July 2016), 195-212. Huang, H., K. Pang, and Y. Tang 2014. “Effects of Exchange Rates on Employment in Canada.” Canadian Public Policy, Vol 40, No. 4 (December 2014), 339-352. Pang, K. and Y. Tang 2014. “Vertical Trade, Exchange Rate Pass-Through, and the Exchange Rate Regime.” Open Economies Review, Vol. 25, No. 3 (July 2014), 477-520. Pang, K. 2013. “Financial Integration, Nominal Rigidity, and Monetary Policy.” International Review of Economics and Finance, Vol. 25 (January 2013), 75-90. Pang, K. and P. Siklos 2016. “Financial Frictions and Stress in Financial Markets.” Czech National Bank (CNB) Economic Research Bulletin, Vol. 9, No. 2 (November 2011), 2-5. Pang, K. 2011 “Equity Home Bias, Incomplete Financial Markets, and Nominal Rigidities.” Canadian Journal of Economics, Vol. 44, No. 1 (February 2011), 340-363. Mon/Wed, 11:30 a.m. - 12:30 p.m.